Tigertek Springer S is a 2ml/ 3.5ml rebuildable tank atomizer with 24mm/ 26mm diameter. It adopts an innovative screwless coil building deck with interchangeable springs for easy single coil building and replacement. You can press the post down and install the coil easily. 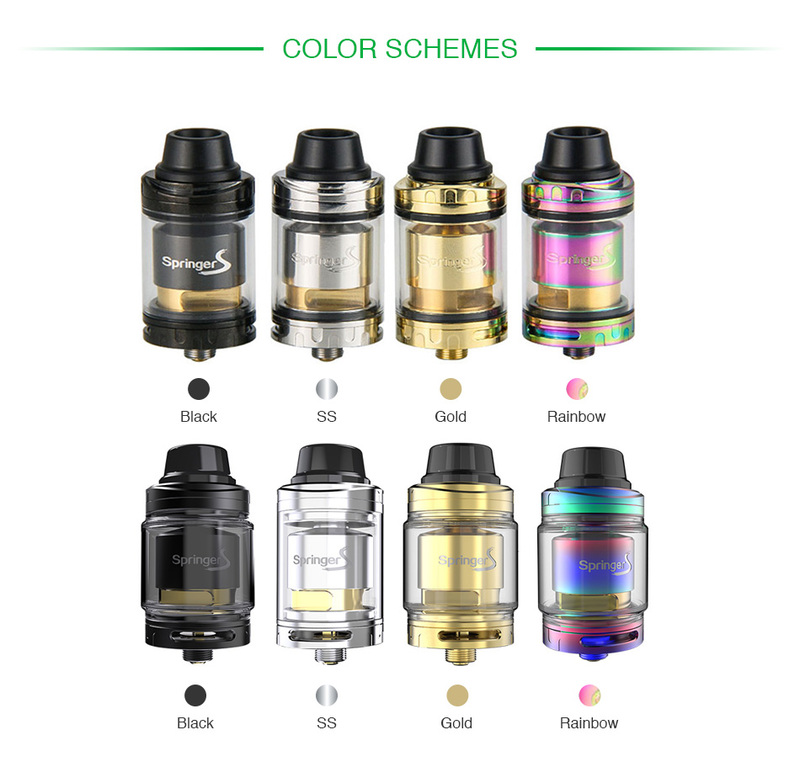 Springer S RTA also features a convenient top refilling design and an adjustable bottom airflow control which directs to the coil for better flavor. A good choice for DIY lovers. 2ml TPD Version and 3.5ml Standard Version to you choose from.